George Bidlake of Wolverhampton was the architect of Sutton Coldfield Town Hall, which opened in 1859. A clock tower originally completed the exuberant Italian Gothic building with its polychrome decoration (now the Masonic Hall) in Mill Street; the tower was taken down in 1970 as being unsafe, leaving the building looking rather squat. George Bidlake had a large family, his eldest son, William, born 1862, following his father’s profession. 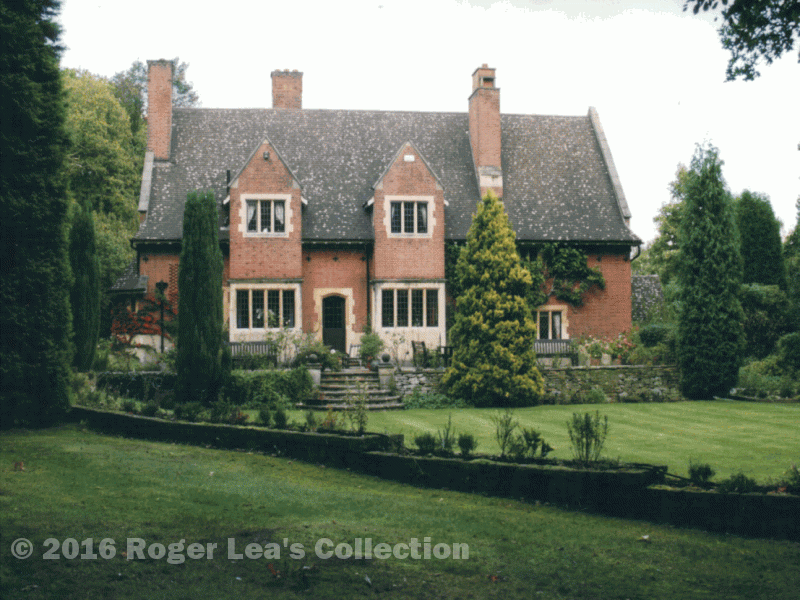 W.H.Bidlake was an architect of the Arts and Crafts movement, which rebelled against the use of foreign architectural styles in favour of traditional English designs. He returned from a year’s tour of Italy in 1887 and settled in Birmingham where he set up in independent practice. In 1893 he pioneered the teaching of architecture at the Birmingham School of Art. 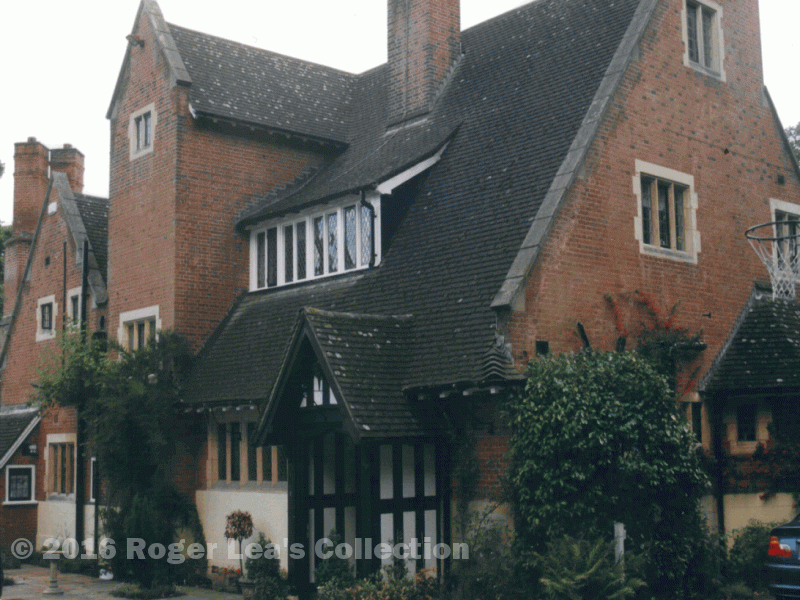 Wealthy clients commissioned him to design houses for them in the fashionable suburbs of Moseley and Edgbaston, and in 1896 he built a house for himself on the Four Oaks Park Estate in Sutton Coldfield. This house, Woodgate, 37 Hartopp Road, is a grade two listed building on account of its architectural significance. The English Heritage listing describes it as being “in modified Tudor style by W H Bidlake for himself. Stone dressed red brick, tiled roof with stone coped gables. 1 storey and 2 storeys of attics. Lattice casement windows in chamfered flush stone surrounds. Ashlar ground floor up to window sill level. Interior: many features carefully designed: panelling, chimneypieces, window seats. Woodgate in its garden setting. Arts and Crafts architectural features at Woodgate.